Clay College offers something quite different from other ceramics courses in the UK. This course provides a level of skill sufficient for a graduate to set themselves up as a practicing potter. The skills taught include making, design and planning, clay and glaze technology, kiln design, building and firing, marketing and promotion. It is an intensive course, with six 14 -15 week terms packed into two years. You can expect lots of contact time, and regularly invited highly skilled and internationally known makers to complement our in house delivery. You will learn a huge amount and a lot will be expected of you in terms of hard work, commitment and enthusiasm. If you are serious about ceramics then there is certainly no other course in Britain offering what Clay College is offering. Our long term goal is to change the current system of teaching Studio ceramics. Saturday 19/01/19 (12-4pm) and Saturday 09/02/19 (12-4pm). We can accept applications from EU residents and non-EU residents with UK residency visas. Unfortunately, we are unable to accept applications from outside the EU, unless you have a valid UK visa. From the beginning, we decided to set ourselves up as an independent college and took the hard decision to forgo being accredited by an existing University in order to have the freedom to create a skills-based curriculum for studio pottery that will be unique in the UK. Clay College Stoke is a not-for profit organisation. We successfully fundraise throughout the year to support the College , but need to charge fees to cover course and staffing costs. Fees for the Diploma Course is £9000 per year, including all basic materials. We are able to offer limited financial assistance, based on need, to couple of students. These bursaries will be awarded in cases of financial hardship and will be applied to defray fees across the two years of the course. The amount available will only meet a proportion of total fees. The funds available will be determined through the application process. Any applicant who may qualify for assistance and wishes to apply should state this in their application form. Please download the Clay College Diploma Course Application form and the Clay College Equal Opportunities Monitoring form. Please complete both forms, ensuring you have completed every question and that you have included all the items requested in the checklist. If you do not, your application cannot, unfortunately, be processed. Please return your forms and supporting documents by the application deadline of 15th February 6pm. 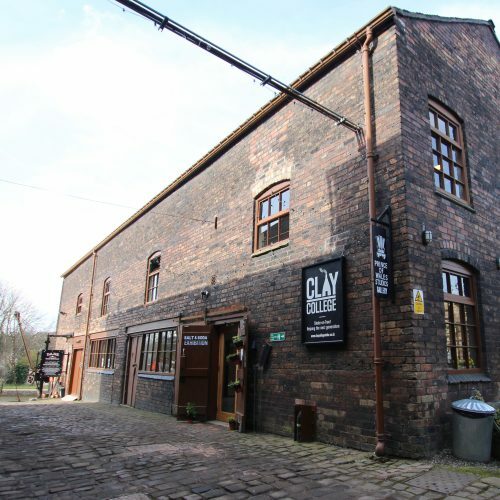 Applications can be emailed to applications@claycollegestoke.co.uk or posted to Clay College, Middleport Pottery, Port Street, Stoke on Trent, Staffordshire, ST6 3PE. Your application will be assessed by the Course Director and the Board of Trustees. Shortlisted applicants will be contacted and will be invited for a practical day of making and an informal interview in Stoke on Trent. This is an opportunity for you to meet us, and for us to meet you and to assess your current skill level. The interview and making days will be the 5th, 6th and 14 April 2019. Places will be offered to successful applicants by before May 2019.